Sav DiPasquale, President, CPDN, welcomed over 40 guests to the organization’s 2017 Annual General Meeting on October 4 at the Lionhead Conference Centre in Mississauga. 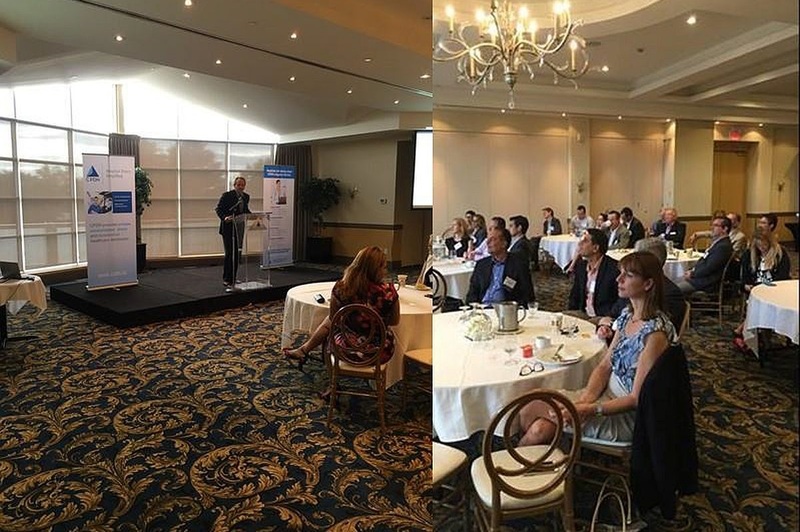 In attendance were member manufacturers, strategic partners, third-party service providers, prospects, industry association representatives and special guests, Christina & Basile Papaevangelou, Co-Founders of the Kids’ Health Links Foundation (KHLF) charity. Sav provided a summary of fiscal 2017 performance and an update on the significant progress achieved toward CPDN’s 3-year strategic plan which is focused on Growth, Operational Excellence and Innovation. He then outlined CPDN’s innovation agenda which includes leveraging the organization’s unique capabilities to drive further growth and value across the healthcare system. He praised the Board and the Operations Committee members who volunteer their time and lend their expertise to ensure CPDN adheres to the highest levels of corporate and financial governance. 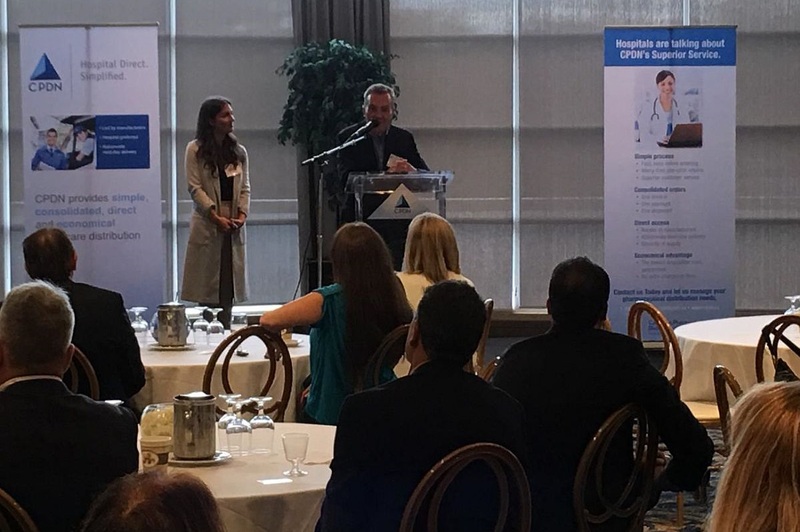 He also thanked CPDN’s strategic partners, namely Lynden International Logistics, Thoughtspeed eCommerce, RBC and Bayshore Healthcare for their contributions to ensuring CPDN’s novel model delivers the service and value that members and hospital customers expect. A message from the Board Chair, Faris El Refaie, was shared by Cristina Aguirre, CPDN Board Secretary, and set the tone for continued support of CPDN’s strategic agenda for fiscal 2018 and beyond. The assembled audience then heard from KHLF speakers Christina and Basile who spoke about the organization’s private social network -- Upopolis – used by long-term hospitalized children and teens, and the healthcare professionals who care for them, in most of Canada’s children’s hospitals. They talked about the history of KHLF, their journey so far and their future plans to expand the reach of the service to more hospitals, caregivers and patients. CPDN is a proud supporter of KHLF and interested parties and donors can connect with KHLF directly at www.kidshealthlinks.org. Sav then adjourned the meeting and wished all a Happy Thanksgiving.